CALL OR TEXT 866-460-3606 THE CERTEZZA REALTY TEAM & START PACKING! Certezza Realty LLC provides full representation in the sale of your home. Our team spends a great deal of time on professional developments in all the areas related to the selling process (setting the price, staging, marketing, negotiating, following up, closing, moving). This ensures the trusted advice you expect backed by expertise in your local area market. Our data analysis department compiles relevant market data so that we can react promptly to market shifts to fine tune the marketing strategies that will work in your market. At Certezza Realty LLC, we are not just listing agents …We are marketing agents! From traditional yard signs and interactive online ads to a convenient mobile app, our full-service marketing department has the knowledge and resources to ensure that your home is targeted and showcased in a way that will engage and motivate thousands of prospective buyers through both print and online outlets. You’ll want someone with strong experience in the local market, and with specific experience in your area. Look for an agent who has the resources, time, and support staff to market your home effectively; it’s critical that your agent be able to accommodate frequent showings and open houses — because if buyers can’t get into your home for a showing, they won’t be writing offers. Your agent should also have a comprehensive plan to market your home, both print advertising to drive traffic to open houses, and a strong web presence — which is where most buyers spend much of their time searching for their new home. Talk to the agents you’re interviewing about their opinion on your home’s value and saleability, but beware the agent who gives you a surprisingly high listing price — they may be trying to “buy” your listing by making you think your home is worth more than it actually is. 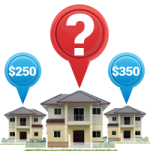 The result will be your property languishing on the market for months at this too-high price. 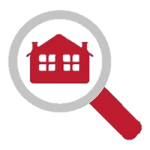 After viewing your home, your agent will discuss with you what’s going on in the market as a whole, and what recent sales are comparable to your own property. When you decided to sell, you probably started keeping an eye on other properties going on the market in your neighborhood, but remember: homes are compared and priced by what’s sold, not what’s listed on the market. You’ll also want to consider your desired time frame when deciding on a price. If you’re not in a great hurry to sell, you can price your property at or very slightly higher than the current comparable sales indicate. But if you do need to sell quickly, you’ll definitely want to keep your listing price very competitive. Remember, a too-high listing price will mean a lot of prospective buyers sitting on the sidelines waiting for a reduction…but a comparatively low listing price can result in offers, and maybe even a bidding war. Call or text us today at 866-460-3606 to find out what your home is really worth OR click here for a quick, no-obligation, FREE valuation of your home! 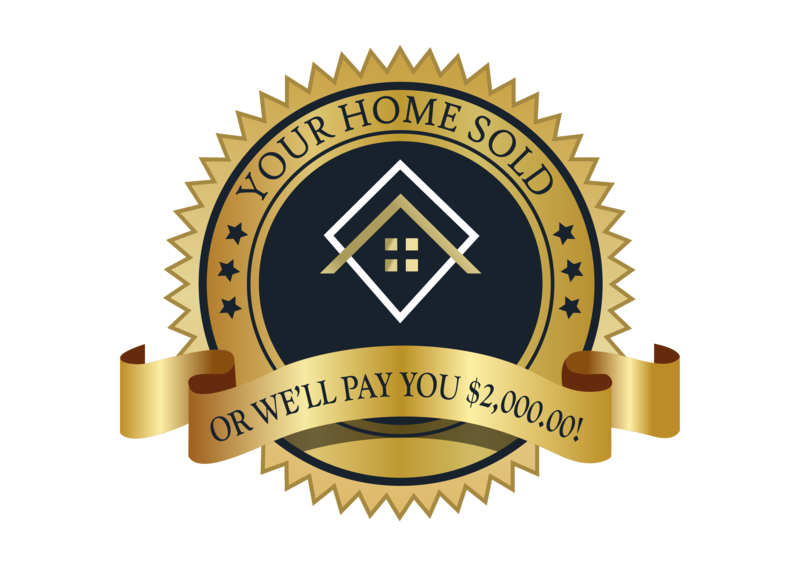 With our Home Sold Guarantee Program your home will sell in under 60 days or we will pay you $2,000.00! Find out the details now! If your home is priced competitively, you should be able to sell in a couple of months. But so many factors can influence the speed of a sale — the age, style and condition of your home; whether it’s in a popular and sought-after neighborhood; the availability of loans for prospective buyers; and even (as we’ve seen lately) the strength of the financial markets as a whole. Some months of the year are historically slower than others for home sales, and some price points in particular areas can add extra time on the market. It’s important to remember that if your home is priced right, our agent will find the right buyer for you. Call or text us today at 866-460-3606 and start packing! The Escrow Process begins when you make an offer on a home and usually ends at closing when you receive the keys to the new home (unless there is a hold-back of funds for other reasons, but this is not common). To make an offer, buyers or tenants write an earnest money check that will be placed in “escrow” – generally with an Escrow, Title, Closing company, an attorney, or a Real Estate Brokerage Firm. These funds do not go directly to the Seller of Landlord – instead, they are kept in custody in a separate account until a series of conditions are met. At closing, the escrowed funds are credited to the Buyer or Tenant to be counted closing costs, prepaid items, or down payment. Escrow is important because it protects both parties and ensures everyone gets what they are due at essentially the same time. 27 Seller Tips to Sell Fast and for Top $. Which of these mistakes will you make when selling your home? How to Avoid Costly Housing Mistakes During and After a Divorce. Empty Nester: How to Sell the Place You Call Home. Get the Highest Price You Can When You Sell. How to Sell Without an Agent and Save the Commission. How to Get the Price You Want (and Need) When Selling Your Home. How to Sell a Home that Didn’t Sell. Parents: 10 Tips to Prepare Young Children for a Move. 11 High-Cost Inspection Traps You Should Know About Before Listing Your Home for Sale. Pet Owners: Tips to Make Your Move Easier on Your Pets.